Rice is a staple food for Indonesian households. After achieving self-sufficiency of rice in 1984, Indonesia still had to import rice because the domestic rice consumption always exceeded the domestic rice production. This study attempts to analyze a rice import during the 1998-2014 period. The rice import was analyzed based on the main partner of Indonesian rice imports encompassing of Vietnam, Thailand, USA, Other countries. 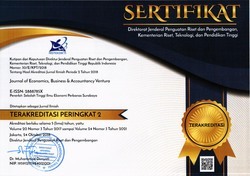 This research applied the demand system method using Almost Ideal Demand System (AIDS). The results indicate that price elasticity of rice import from Vietnam and Thailand was inelastic while from other countries, they were elastic. Based on the expenditure elasticity of rice import, rice is the normal goods for rice import from Thailand and USA. The policy simulation shows that the increase in the price of rice import leads to the decrease of rice import. However, rice import from certain countries such as Thailand still increase. Rice is the staple food, therefore, the government must set up policy to increase domestic rice production for reducing dependency on rice imports. Abdurrachman, E., (2008). Projection of Rice Supply and Demand 2007-2010 (Proyeksi Penawaran dan Permintaan Beras 2007-2010). 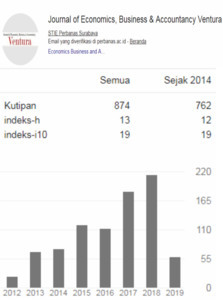 Journal of Faculty Binus Business School, 13 (1):186-192. Alston, J. M, K. A. Foster dan R. C. Green. (1994). Estimating Elasticities with the Linear Approximate Almost Ideal Demand System: Some Monte Carlo Results, Review of Economics and Statistics 76:351 – 56. Chirstianto, E. (2013). Factors Affecting Rice Import in Indonesia (Faktor yang Mempengaruhi Volume Impor Beras di Indonesia). Jurnal JIBEKA, 7(2):38-43. Prasetyo, D. A and Anindita, R. Import Demand Function of Rice in Indonesia, Jurnal Habitat, 27(1): 1-6. Simatupang, Pantjar and Timmer, P., C. (2008). Indonesia Rice Production: Policy and Realties, Bulletin of Indonesian Economic Studies, 44(1): 65-79. Widarjono, A & Rucbha, S. (2016). Household Food Demand in Indonesia: A Two-Stage Budgeting Approach, Journal of Indonesia Economy and Business 31(2): 163-177. Zheng, Z., and Shida R. H. (2012). Estimating the Impact of Rising Food Prices on Nutrient Intake in Urban China, China Economic Review 23: 1090-1103.